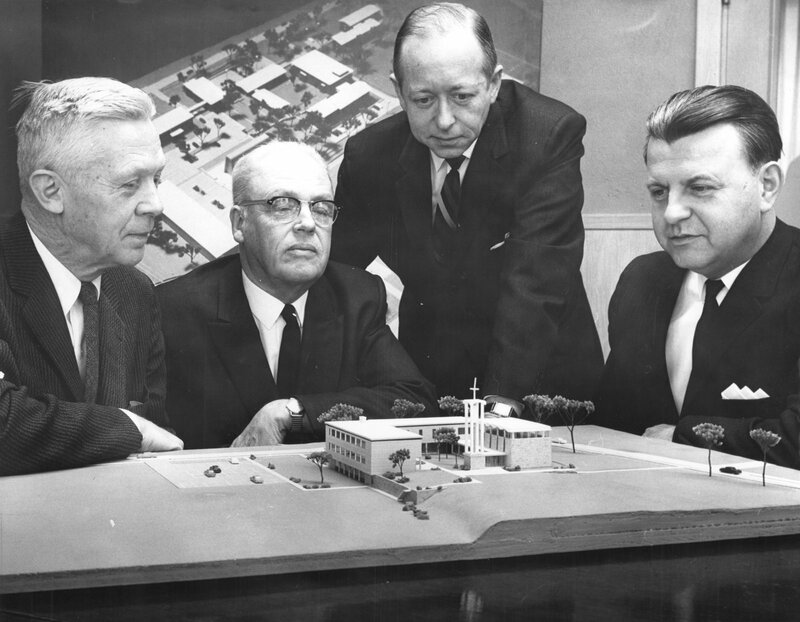 The Laurier Archives, located in the basement of the library on Laurier’s Waterloo Campus, have been given old blueprints of architectural designs of Laurier’s campus from the 1960s, thanks to the family of Karl Kruschen. 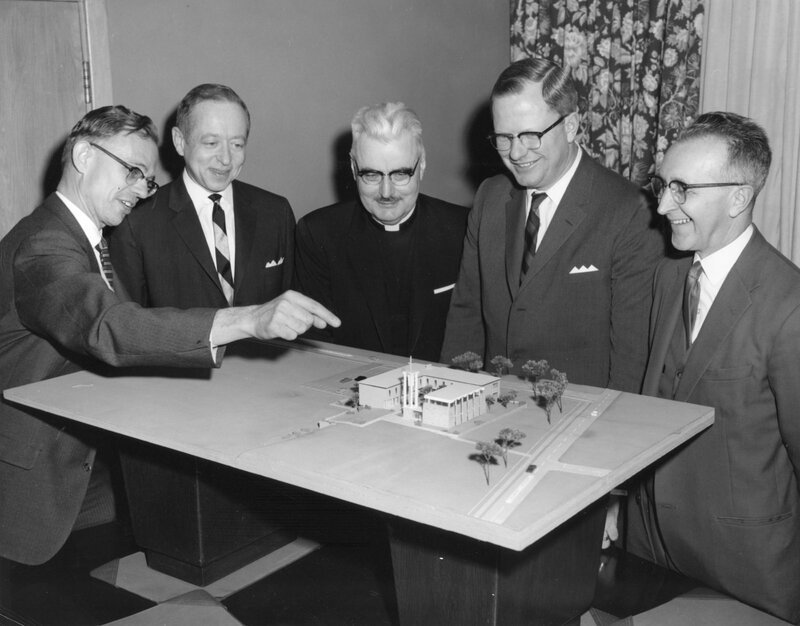 Kruschen, who designed many buildings on Laurier’s current campus like the seminary and the dining hall, was a very popular architect in building Lutheran churches and was especially famous at Waterloo Lutheran University, the former name of Laurier University. “We happened to connect with the family through our participation at Doors Open in September of 2017 and one of [Kruschen’s] sons came on campus just to walk through — and he ended up down here in the archives,” said Cindy Preece, archives administrator at the Laurier Archives. The blueprints, though much different than how the campus looks today, depict many possible scenarios for how Laurier’s campus could have been constructed, including a football field on Bricker Ave. — and seemingly more parking than the school currently has. “Kruschen did a lot of Lutheran churches, but he also did many buildings on this campus in the 60s. The seminary, the dining hall, the theatre auditorium — which now is kind of encompassed by other buildings on campus — it was all his design,” Preece said. Kruschen, who was born and trained in architecture in Germany, passed away in the year 2000, but as his family became more informed as to the services Laurier has, like the archives, they felt inclined to donate the items so they will be visible to more people. “Venting, electrical work, furniture — everything it takes to create a building, we have drawings of those that he did. When he built the seminary, he designed a lot of the details, like the pews,” Preece said. Even Laurier students in the time of Kruschen’s designs may have seen buildings that did not turn out exactly like his designs. Kruschen had plans for buildings like the theatre auditorium and MacDonald House to be connected by a three-story building — and there actually was a time where the two were connected by a single-story pathway. “There are many different scenarios there and actually, some of the course calendars from the 60s had campus maps in them as well as ‘buildings to come’, which some of them never did come. Some did, but look different, but all these plans used to be in the calendar,” Preece said. The team at the archives has catalogued the designs and gotten them stored in the archives, as they are important to the Kruschen family, since Laurier was the only university that Kruschen worked on before he retired in the 1970s. “I think it is important because they show the evolution of this campus, the physical evolution [and] how we got to where we are. It’s fun to see what paths could have been taken,” Preece said. “This is just one kind of architectural drawing we have on campus, we have many others over the years that are useful to the university itself also because of the schemes and plans,” she said.